Remember the sunlight and heat reflecting Siesta 4 Tent that we featured on MyCoolBin few months ago? 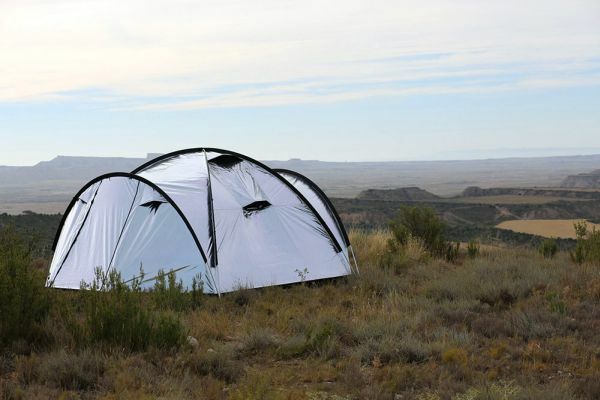 Designed by Australian startup Outback Logic LLC, the world’s first heat & light blocking tent is now live on Kickstarter. What makes it stand out from conventional tents is its unique heat-reflecting fly fabric that blocks the suns rays from penetrating the tent. Camping in a great outdoor location is always fun-filled and adventurous, but extreme heat in summer plays a spoilsport. After partying around a bonfire all night, you need proper sleep during daytime. But sunlight and heat in afternoon disturb the inhabitants and don’t let them enjoy a comfortable snooze.